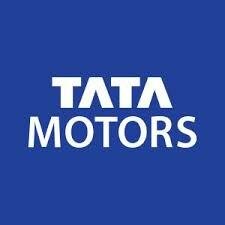 Tata Motors (TML) announced after trading hours yesterday, 3 May 2018, that its board approved the sale of its defense business to group entity Tata Advanced Systems (TASL). This will not include the pure civilian vehicles which will continue to be with TML. TML will receive an upfront consideration of Rs 100 crore, adjusted for capex incurred and changes in working capital in the intervening period until closure date, and a deferred consideration of 3% of the revenue generated from identified specialized defence projects for upto 15 years from FY 2020 subject to a maximum of Rs 1750 crore. Further, the board also approved the sale of its shareholding in its wholly-owned subsidiary, TAL Manufacturing Solutions (TAL) to TASL at an enterprise value of Rs 625 crore. As a condition precedent, Tata Motors will acquire the non-aerospace business from TAL at a value of Rs 10 lakh. This is in line with Tata Motor's plan to drive Turnaround 2.0, take necessary steps to further its defense business by leveraging the scale and strengths of the unified aerospace and defense entity at the group level, while monetizing its non-core assets to reduce net-debt. Two-wheeler major Hero MotoCorp said its total vehicles sales rose 16.50% to 6.94 lakh units in April 2018 over April 2017. With the forecast of a normal monsoon this year and a strong pipeline of new products coming up, Hero MotoCorp is confident of sustaining its growth momentum in the coming months. The announcement was made after trading hours yesterday, 3 May 2018. On a consolidated basis, Vedanta's net profit rose 34.29% to Rs 5675 crore on 22.74% increase in net sales to Rs 27630 crore in Q4 March 2018 over Q4 March 2017. The result was announced after trading hours yesterday, 3 May 2018. On a consolidated basis, Emami's net profit fell 26.94% to Rs 60.86 crore on 8.23% increase in net sales to Rs 616.98 crore in Q4 March 2018 over Q4 March 2017. The result was announced after trading hours yesterday, 3 May 2018. Emami's board recommended issuing bonus shares in the ratio of 1:1. On a consolidated basis, Thirumalai Chemicals' net profit rose 107.96% to Rs 39.70 crore on 7.87% increase in net sales to Rs 330.71 crore in Q4 March 2018 over Q4 March 2017. The result was announced after trading hours yesterday, 3 May 2018. The board of Thirumalai Chemicals recommended 10-for-1 stock split. BASF India has received information from BASF SE, Germany (parent company) that globally BASF SE and Solenis (USA) have reached an agreement to combine BASF's paper wet-end & water chemicals business with Solenis, USA, subject to receipt of requisite approvals. The transaction is anticipated to close by the end of 2018 at the earliest. The announcement was made after trading hours yesterday, 3 May 2018.